Compare prices of Viagra (Sildenafil) online with monthly price updates to help you find the cheapest Viagra online. 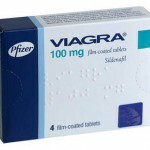 As the patent for Viagra expired in 2013, it allowed other manufacturers to produce this drug. This has resulted in a big drop in price for the generic version. Sildenafil is clinically equivalent to Viagra. Looking for Generic Viagra (Sildenafil) price comparisons? You can save money by purchasing the generic version of Viagra. This contains the same active ingredient, Sildenafil. This site provides monthly price comparisons across a number of UK Online Pharmacies for Erectile Dysfunction medication. We highlight the cheapest price in white and provide a link on each price so you can check for yourself. If you find a price is incorrect, please contact us, so we can update the prices. Otherwise, we update prices monthly.